Able2Extract Testimonials and Reviews | Investintech Inc.
Able2Extract is a professional grade PDF software that can create, edit and convert documents between all popular file formats. Downloaded by millions worldwide, Able2Extract has been reviewed and recommended by many business professionals. See what they had to say about us. I can train a worker to use it well in under two hours. It is also more accurate than any other stand-alone OCR software I've experimented with. Product works smoothly and quickly in loading long PDF documents and allows a user to select portions or all of the document for conversion. I couldn't imagine doing my tax preparation without this great tool. I simply download my bank statements and credit card year-end summaries in PDF form, extract the data to Excel, do a little sorting and sifting and voila! Data is ready for my accountant. We mostly use this for converting PDFs to DWG format. The software is intuitive to use and conversion is fast. This software is very easy to use and for the vast majority of the time, the simple automatic settings work flawlessly. For those other times, the simple interface lets you tweak the settings. Generally 99% to 100% accurate with conversions to Microsoft Office products. Editing PDFs is easy as well. Can't wait for the next version! Able2Extract Professional is still the industry standard. CPA, Glenn A. Roseman, P.C. 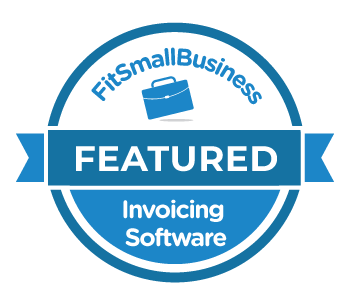 Product is excellent for translating pdf financial transactions into csv for in-depth analyses. I've been using the product for years and consider it to be the best PDF to text converter on the market. Now that I can not only create, but also edit and annotate PDFs with the product, I can get rid of PDF creation products that don't quite cut it. I tried several PDF converters in the past, but none matches Able2Extract Pro quality and performance. On top of this, the customer support from Investintech is superb. I lost my key several times and I got help immediately how to recover it and how to activate my upgrade(s). I've been an user for Able2Extract for many years and always keep on upgrading it as it only gets better! Sales & Marketing Director, Graco Inc.
PDF conversion is where Able2Extract Professional really shines. It has more export options and can export to more formats, than its competitors. If exporting PDFs to other formats with an impressive array of options is important to you, you won't find a better program. Able2Extract is a tool that can save a lot of time and energy for professionals and students who have to work with a significant number of PDFs on a regular basis. With so many features in just one tool, it is the one-stop solution for all your PDF editing dilemmas. 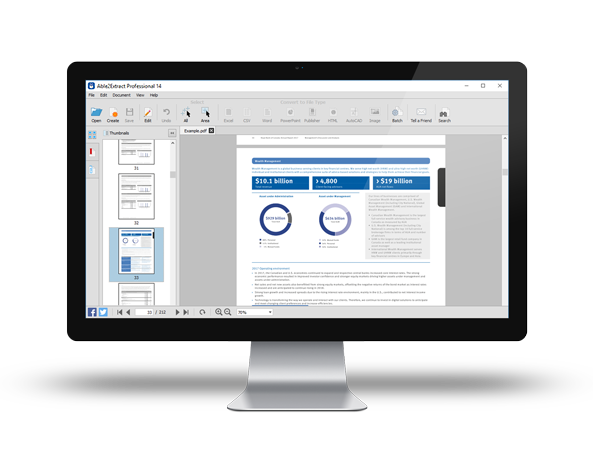 Able2Extract is a more affordable alternative to Adobe® Acrobat®. You can do all aspects of PDF work from expert conversions to content editing with this tool. Able2Extract has been distinguished with our Great User Experience Award and Rising Star of 2018 Award.